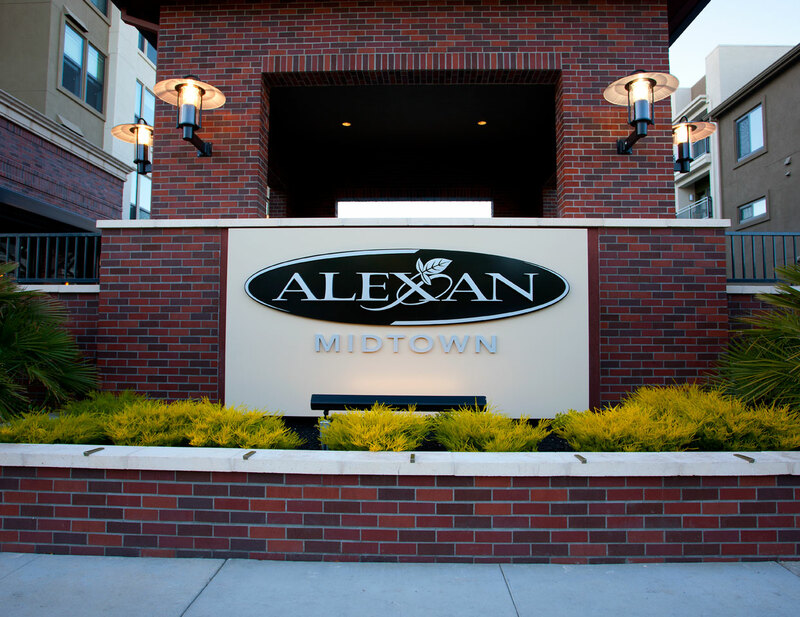 LPAS Sacramento Project: Alexan Midtown Apartments. Pre production scouting allowed for solving the problems with cars, getting models, establishing a shoot list, which tied down the scope of work and allowed for an accurate cost estimate. Not a lot of Architectural Photographers spend the time up front in pre production, to address potential problems. People always give life to projects, shoot it at the right time, add a little movement and you get a final result that is always pleasing. Always eliminating the cars, help in making long lasting images. Complete traffic control and working with the owner helped make this a successful illustration. Trees always help in framing your illustrations. I always like clean front elevations. We also had excellent sun angles for this project September-October, clean, crisp, pleasing shadows and waiting for what is best for the project, always pays huge dividends. I like the umbrella that pushes your eye to the pool. I always look for strong diagonal lines. It’s always nice to give the client options and in this shot we shot this from a 12′ ladder to give a bird’s eye view. The warmth of the fires and bricks giving a pleasing contrast to the blue sky. Shooting from an elevated viewpoint gives the viewer a different perspective. A little movement, a small blur makes this into something real and not static. Shooting from the ground gives the viewer a better perspective of the people. What’s nice about this project, it has a dog park in the rear and large pets are welcome, just not elephants. LPA thanks for the work, it is always nice to work on good projects.